I’ve been very busy trying to master several sports video games especially FIFA 14, Football Manager 14 and NBA 2k 14. I will be adding content on my experiences as I go on. Eventually I might separate it out to my cepwingaming domain but for now we’ll keep it here. I’ll start with this video of my first goal in career mode. Posted by wendy_author on December 30, 2013 in Video Games. 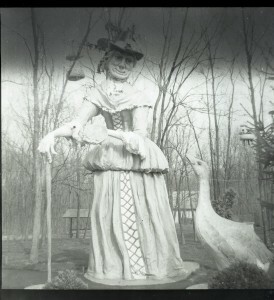 Fantasy Land”s famous “Mother Goose” statue. 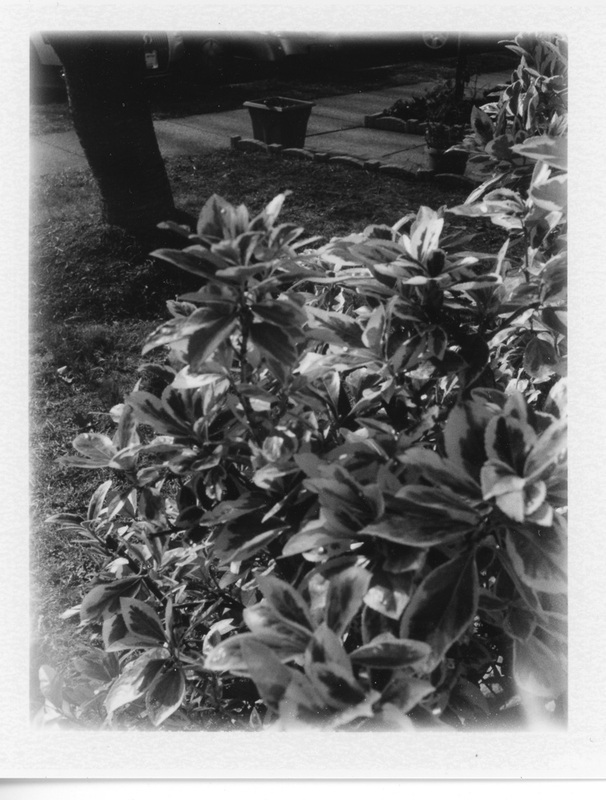 Naturally after the camera arrived I had to develop the film, which seemed quite old. 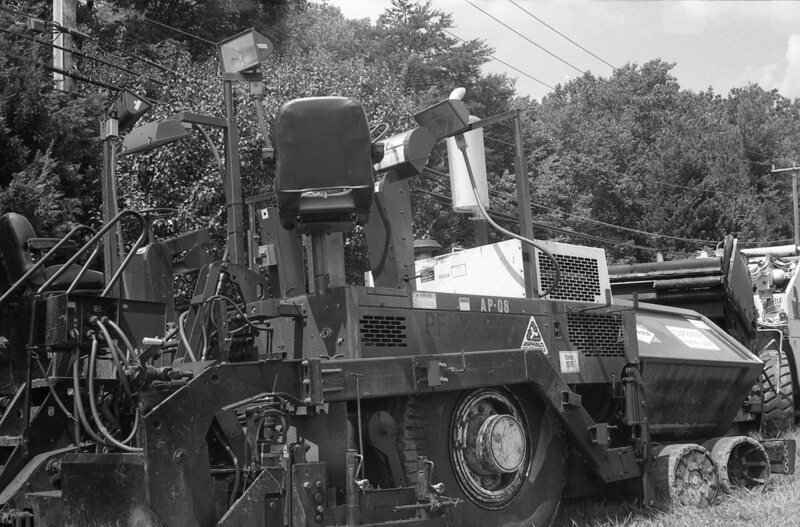 After research and consulting APUG I went with D-76, 11 min dev, 8min fix and got 5 good images out of the roll…these are the images I included in the post. 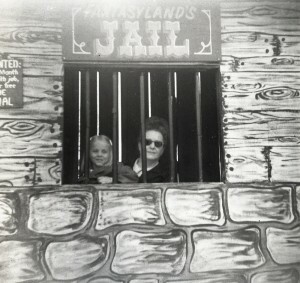 Girl and Adult Lady posing in the “Jail” window. 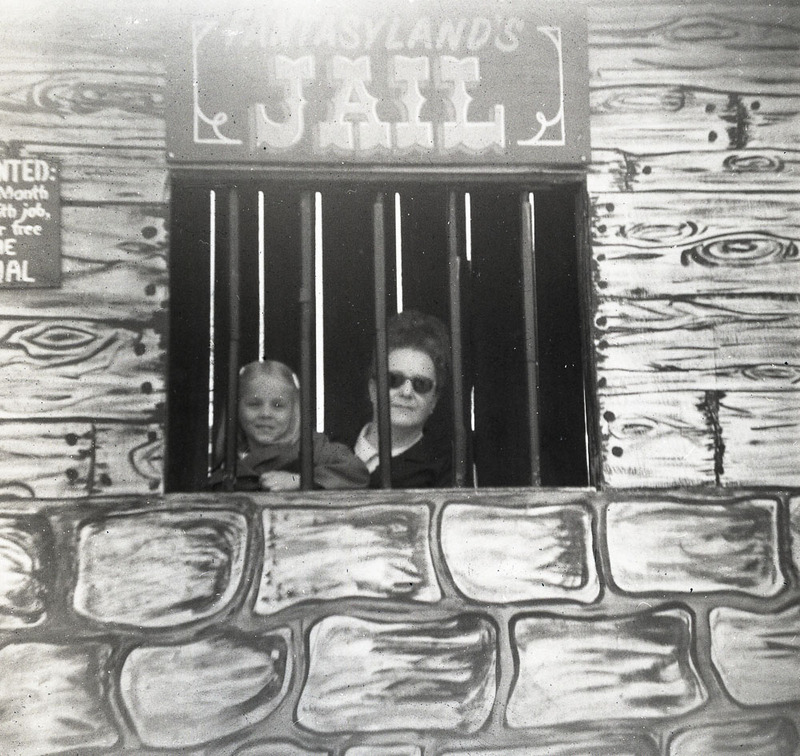 The pictures appear to be from a family trip to Fantasyland in Gettysburg, Pennsylvania. This park was open from 1959-1980. 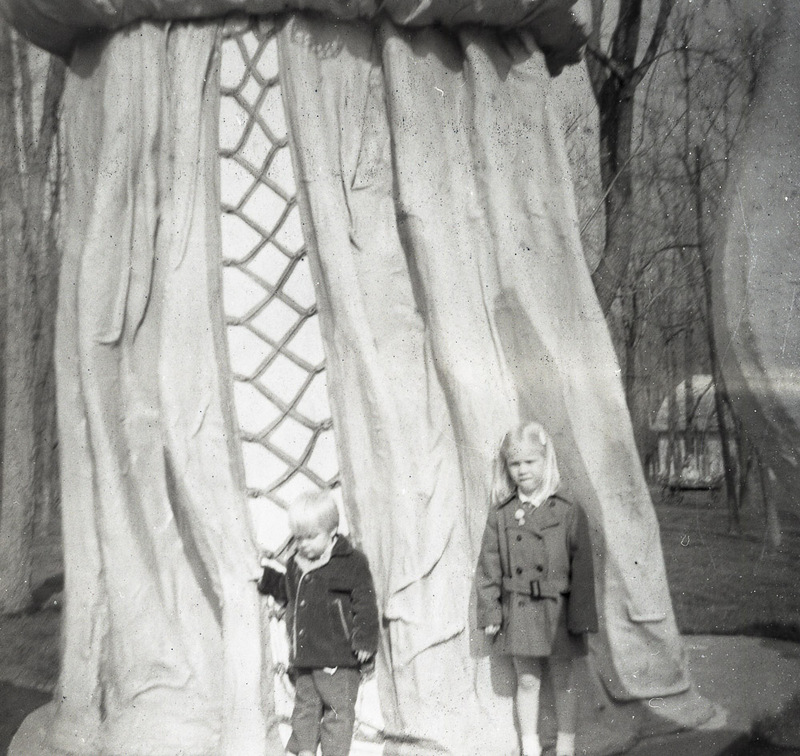 Apparently it was closed because locals were not keen on an attraction that was unrelated to the Gettysburg battlefield. 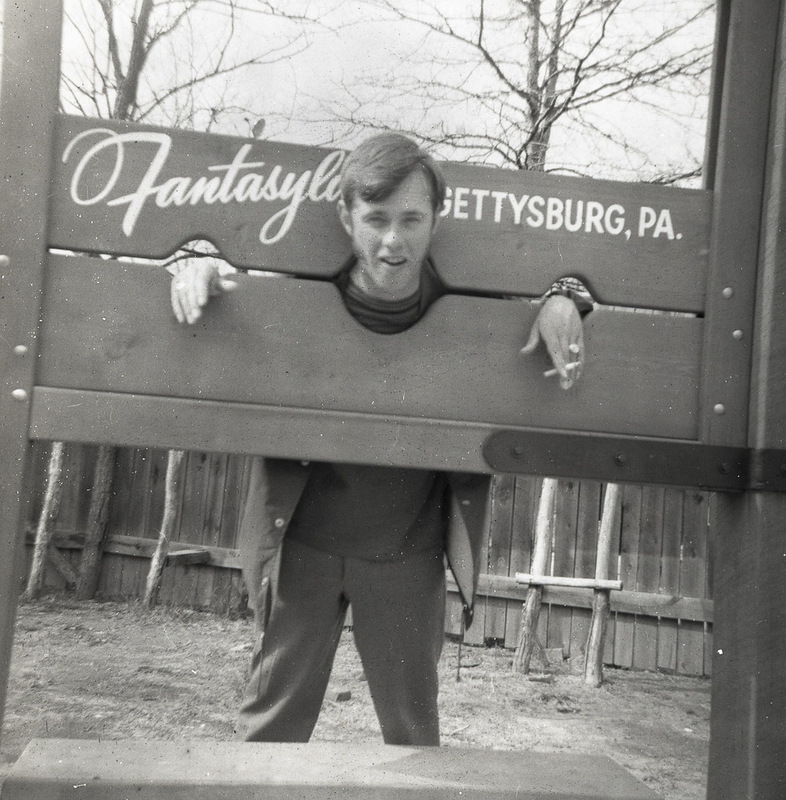 Thus these images are over 30 years old…probably older..my guess is they’re from the mid 1960’s – early 1970’s period. 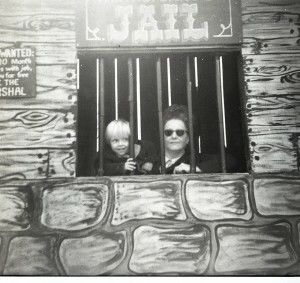 Boy and Adult Lady posing in the “Jail” window. pictures I’d love to hear from you. 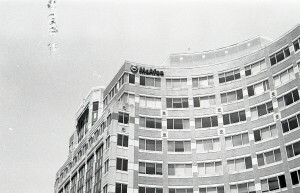 I will say I was surprised at the quality of images that came from the Argus 75 that is essentially a toy camera. 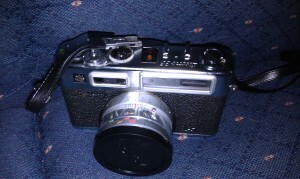 I will write more about the Argus 75 once I’ve had a chance to shoot and process a roll myself. 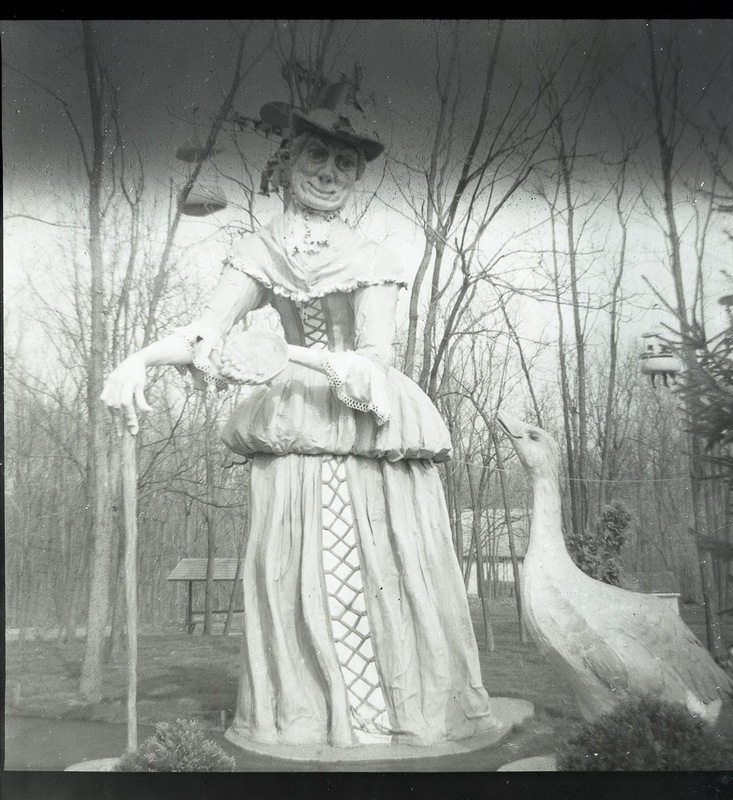 Two children in front of the Mother Goose Statue. 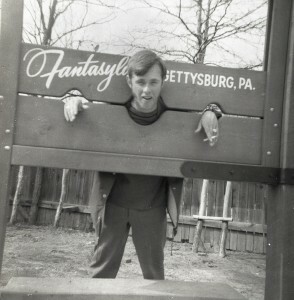 Posted by wendy_author on February 18, 2013 in Photography and tagged Argus 75, Fantasyland Gettysburg, mystery images. Recently I purchased a Polaroid 210 from the Film Photography Project. It has been an interesting ride. First one big advantage of purchasing from FFP verses eBay is their products are tested and battery conversions done where applicable. Thus the unit was ready to shoot when it came out of the box. The problem I wasn’t ready. The first thing is one had to be aware of is these cameras we’re designed to use Polaroid pack film which used metal to make the case. The current film, made by Fuji, has plastic cases. This means that the metal clamps that’s held the film is are, for lack odd a better word, too strong. This means the paper dark slide and paper tabs are difficult to get out. As a result I managed to trash several film packs. Once tip I got from FPP and others is to put tape on the darkslide tab area to make it harder to tear, thus getting the first paper tab set right. Another tip is to get the clamps pushed down (some even cut them off) to reduce the pressure on the pack. Had I still been running into issues with the film packs. I use gaffers tape to hold the tabs down. I am going to use gaffers tape as it’s strong but low residue. Other alternatives are getting an original Polaroid pack and replacing the plastic backs with polaroid metal backs. The metal backs are designed to handle the metal tab’s pressure. Finally, if the tab is still to tight you can *very* slightly (basically unlatch it and hold it closed so light can’t get in) open the back to take the pressure off the pack. Once you take the first few shots it should be easier. 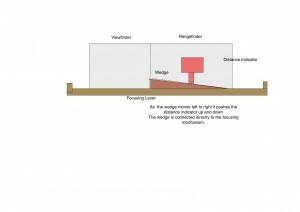 The focusing mechanism is very simple. 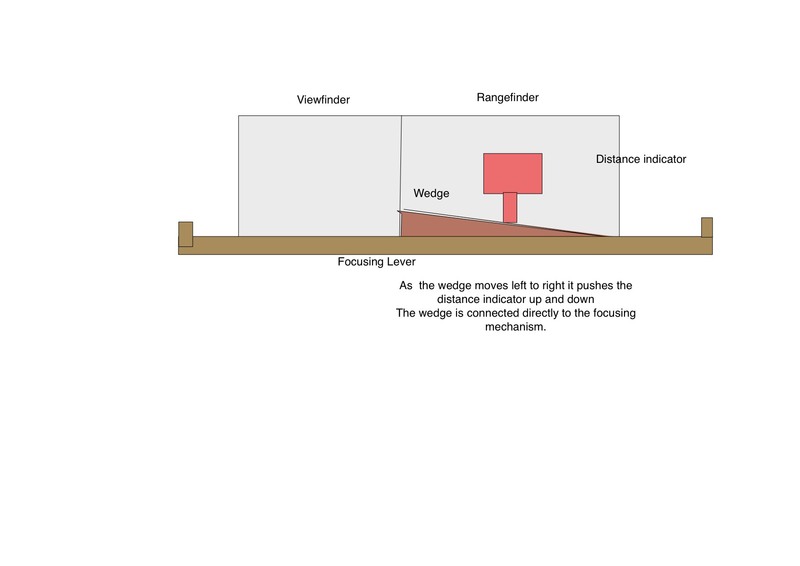 Basically a wedge pushes a distance indicator up and down as the focusing lever is moved left to right. I was able to put it back together successfully to my great relief. 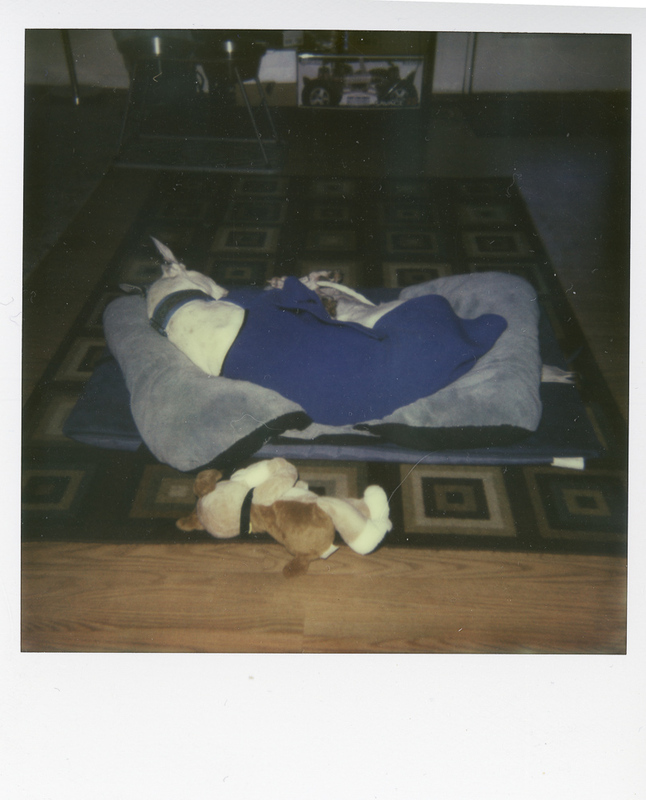 Posted by wendy_author on February 12, 2013 in Photography and tagged Polaroid. After I got some nice reactions on an image from my debonair (similar to holga) of a local office building and it’s reflection in a pond I decided I wanted to make an 8 1/2 x 11 print of it. I did the first test strip and it was all black….so I did another and settled on 8 seconds…well the top half of the print was OK, the bottom again was all dark. Decided at that point to freshen the developer just to be sure and tried six seconds…the same result.. At this point it was clear the bottom half needed to be dodged (covered for part of the exposure period so it gets less light than the top half.) Again, back to test strips. In this case I decided to put them down on the dark part to see how I should dodge it. After two or three additional tests I settled on 6 sec overall, dodge the middle of the lower half for 1 sec and the sides for 3. I was finally able to see detail on the bottom half of the print. 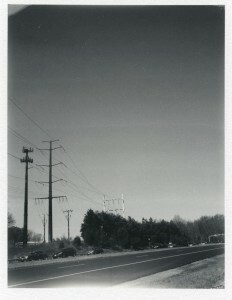 This is an example of how basic darkroom techniques can be used to improve a print. Posted by wendy_author on February 3, 2013 in Photography and tagged Darkroom printing. 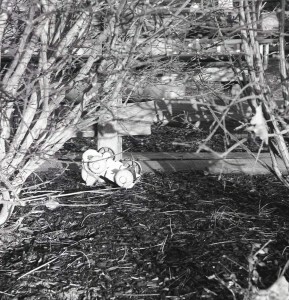 So I’ve shot a few rolls with the Graflex 22 camera I picked up a few weeks ago. I found it has more of a learning curve than other cameras I’ve used (range finders/ (D)SLRs) Probably the biggest issue has been focus. 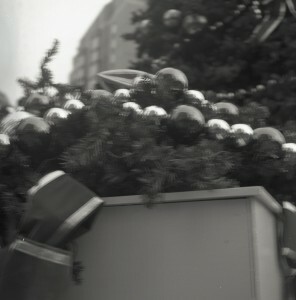 While I can get away with slower shutter speeds on my other cameras the Graflex is very susceptible to motion blur. Even when I have it at a faster speed (and it only goes to 1/200) it’s not as sharp as the Yashica 35 electro. It could be that I’ve, for the most part, have gotten used to the range finder on the Yashica I haven’t quite gotten focusing on the ground class of the Graflex. 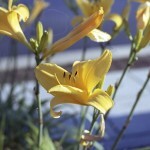 It’s also possible with such an old camera the link between the focusing and the actual lens is not 100%. It’s a TLR (Twin Lens Reflex) so the focusing lens is not the same as the actual lens the film sees. So the next step was trying to resolve the softness issues. 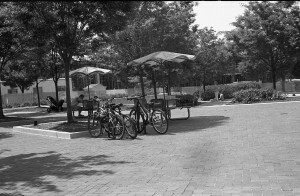 Since I suspected motion blur I shot a test roll using the tripod. The results were improved. 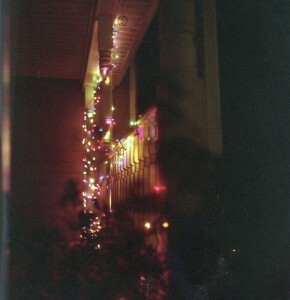 This was nighttime shoot so I shot another roll during the day…again with the tripod. This confirmed the original tripod results. 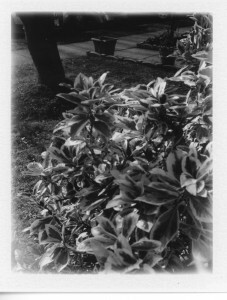 At the impetus of APUG suggestions I ran a few tests on the camera itself. I looked out through the shooting lens though a makeshift (CD case top with scotch magic tape) ground glass and checked the focus. I also examined the lens and confirmed that it is clean. On suggestion was to calibrate the lens but there are no adjustments on the graflex lens so that proved to be not applicable. 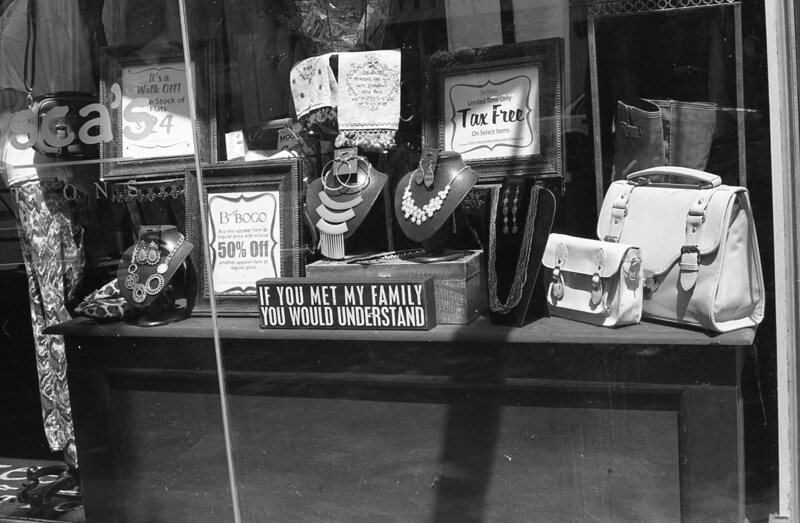 Even though it can’t be adjusted, I used a SLR (my Nikon FG) to look at the same “ground glass with an “X” drawn on it”, though the graflex lens to see focus. It appeared in focus. The conclusion is that this is mostly motion blur and when I tripod can be used it should with this camera. When using it without a tripod it must be on faster speeds (1/100 or faster) and one must take care to steady the camera and have a steady pull on the shutter to minimize motion. This was not an expensive camera and is much more sensitive to motion than is typical of modern cameras or higher end cameras even of that day. 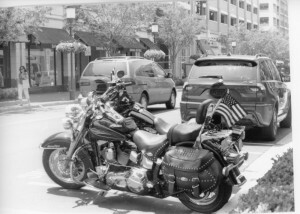 Posted by wendy_author on January 1, 2013 in Photography and tagged Graflex 22, motion blur. So a few weeks ago I came home around lunchtime to see this gentleman lunching by a tree by my house. Apparently a squirrel met his end and as a vulture he came and did his thing. What was amazing is how large this creature is. I only had a 50mm lens and didn’t want to get to close so when I printed this image I had to enlarge it quite a bit. 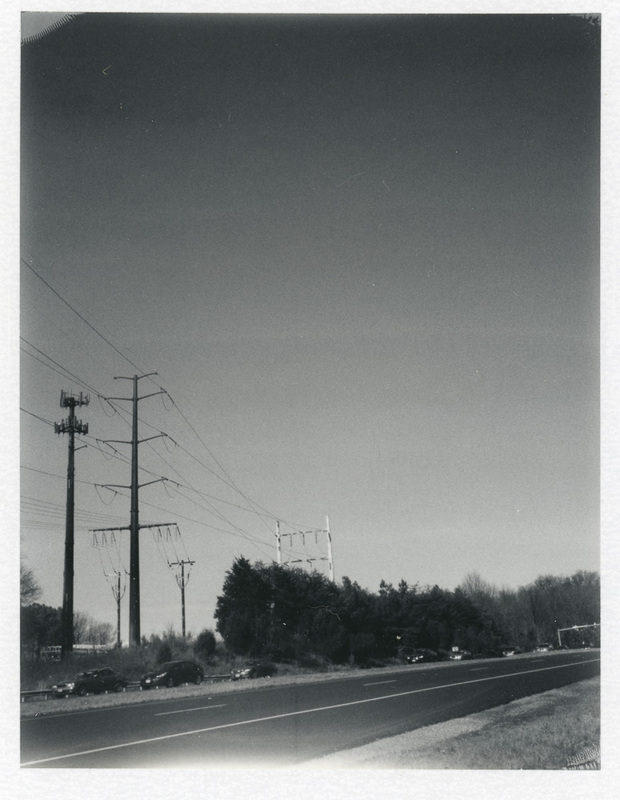 The image is a scan of the image I printed. You can really see the ability of film to be blown up quite a bit. Posted by wendy_author on November 23, 2012 in Uncategorized. 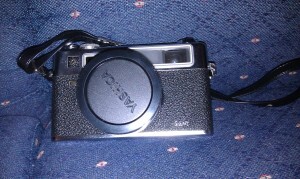 This is a pretty cool camera made from the mid ’60’s to the mid ’70’s. It is a rangefinder which means you are looking though a focusing window rather than the lens itself. This has several effects. It can be quieter because no mirror has to move when the picture is shot. This also makes it easier to keep the camera steady (less vibration). On the other hand, it makes focusing a bit of a challenge. The common solution is to have a ghost image that you match up to what you’re seeing to get focus. That takes a bit of getting used to. I was expecting a full split image. What actually one sees is a yellow diamond in the middle of the screen where the ghost image appears. This took me a little bit to figure out but once I did I was rewarded with some amazingly sharp images This particular camera has a 50mm 1.8 prime lens. There are no interchangeable lenses. Since it was made before mercury batteries were eliminated I needed to purchase a battery adapter. It also has a cold, not a hot shoe for flash. I’m still researching what sort of flash I can use. In the meanwhile I”m shooting it mostly outside where I can take advantage of natural light. 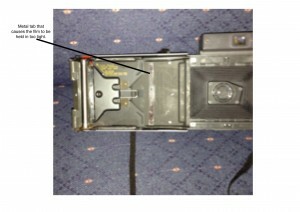 One possible issue with this camera is the foam by the shutter can wear out causing issues with the electronics. It’s called the “pad of death.” It is repairable but can take a bit of disassembly. There is information on how to repair it available on-line or you can have it repaired professionally. I have been especially happy with my results with this camera. 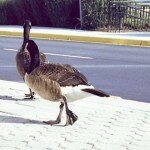 Below are some examples of images I made with this camera. 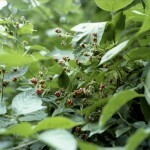 Posted by wendy_author on August 20, 2012 in Photography and tagged Yashica Electro. The past few weeks I have been playing in my makeshift analog darkroom. It’s so far a lot of fun and I’ve learned quite a bit. 1. In the analog world dust is more of an issue as not only does the camera have to be clean, so does everything in development/printing … make sure the enlarger lenses and negatives are clean…I’m still figuring this out. 2. 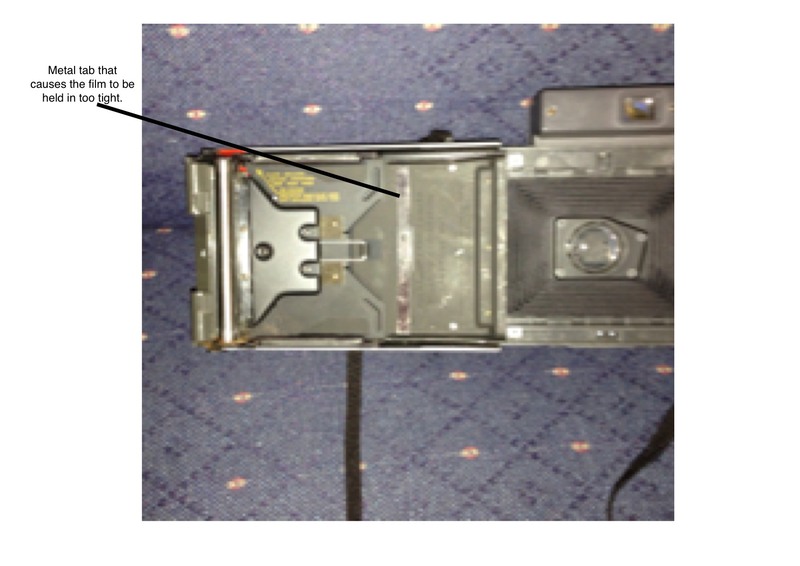 Another potential issues is scratched negatives…be careful when handling the film and the negatives. 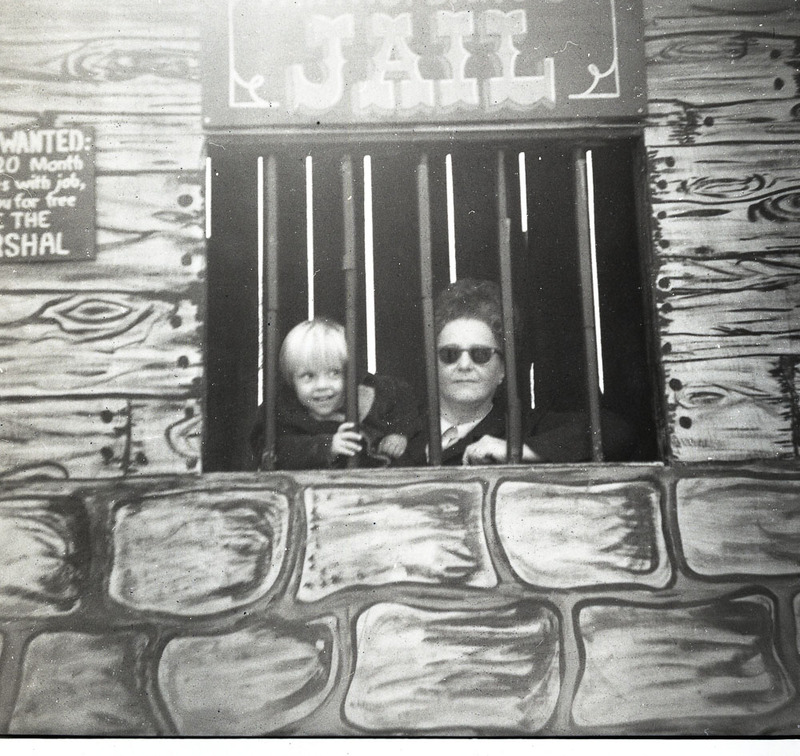 I ruined several images by not putting getting the film on the roll properly. 5. You have to take time and focus the enlarger and set it’s aperture. I didn’t realize that it *had* an aperture before my first attempts were a fail (that was actually caused by a safe light that wasn’t :)) I’m in the process of reading up on how this should be adjusted. From my reading so far the widest open and smallest apertures are not generally recommended and the aperture impacts the DoF (depth of field) when focusing the image. 6. 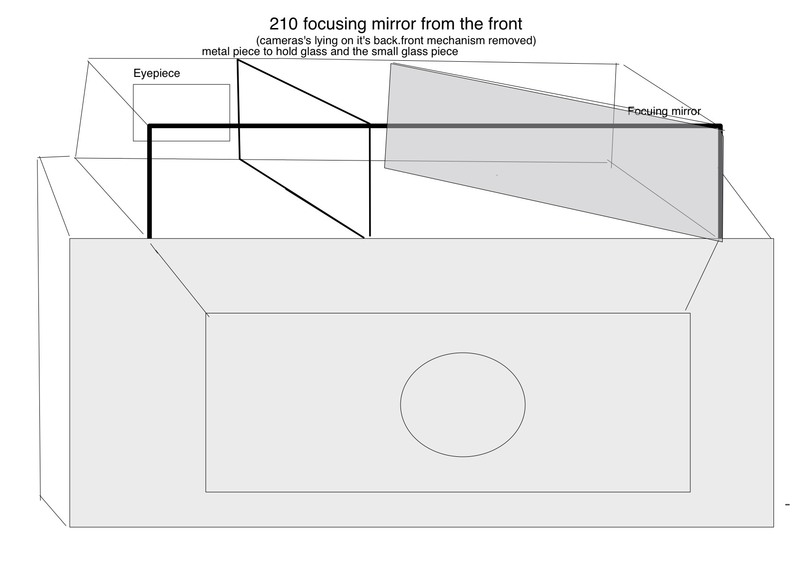 A photographer’s loupe or magnifying class might also be helpful as I found focusing a bit of a challenge. Here is one of the better prints I made. 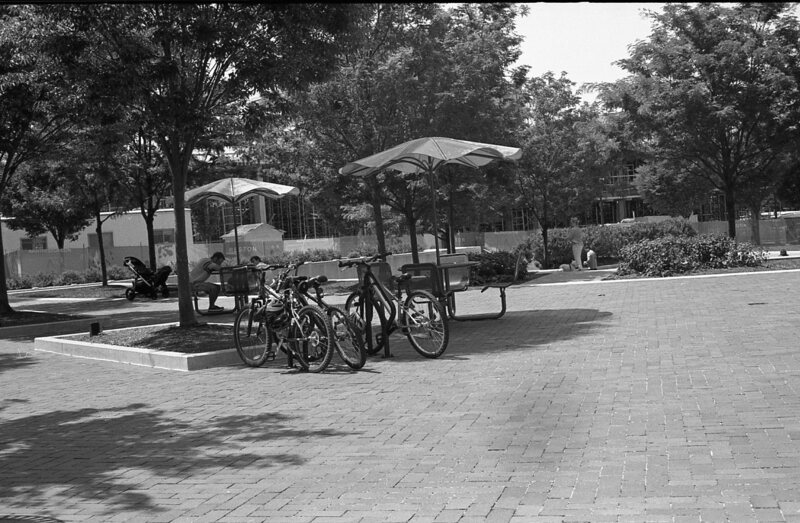 I actually cropped this image somewhat to put the emphasis on the bikes. 3. Play with the toning kit I just got..I want to see what results I get by using this process. 3. 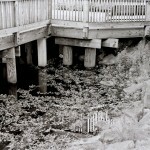 Finish Ansel Adams’ books “The Negative” and “The Print” ….there’s a lot of good foundational material there. Finally I’d like to thank again the folks at APUG who have been a great resource. I’ve said it before but if you’re getting into analog photography I’ve found it a worthy place to join and if you find it a helpful resource, as I have, become a subscriber. Posted by wendy_author on July 28, 2012 in Photography. I spent most of last weekend working issues with the film I developed on Thursday night and attempting to make my first prints. The second issue was trying to make prints. I tried to make some test strips and they immediately turned black….a sign there was too much light. Again APUG to the rescue. They suggested that I check the aperture of the enlarger…well I’m not sure what it was set to but I found how it is set. They also suggested that I try “exposing” the paper with the safelight…put something on the paper so I can shield some of it from the light and see what happens. Sure enough the paper was black except for the area I covered with a cloths pin. Thus the real problem was indeed the safelight. I was using a yellow bulb in a work light…it was too light. Consequently I needed to get another safelight. The light I”m getting is a light that can use different filters and I got it with the amber filter which is recommended for the paper I am using. We’ll try again and see what happens. BTW…there is a huge range of prices for safelights…35 on into a few hundred. 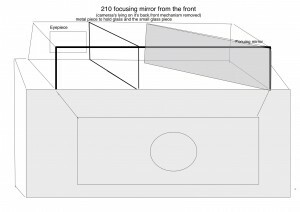 For a home darkroom I can image needing more than a lower end model. In conclusion I learned quite a bit working though these issues. I would also recommend if you’re getting into film join the APUG site and if you find it as useful as I have, become a subscriber to help offset their costs. Posted by wendy_author on July 10, 2012 in Photography. 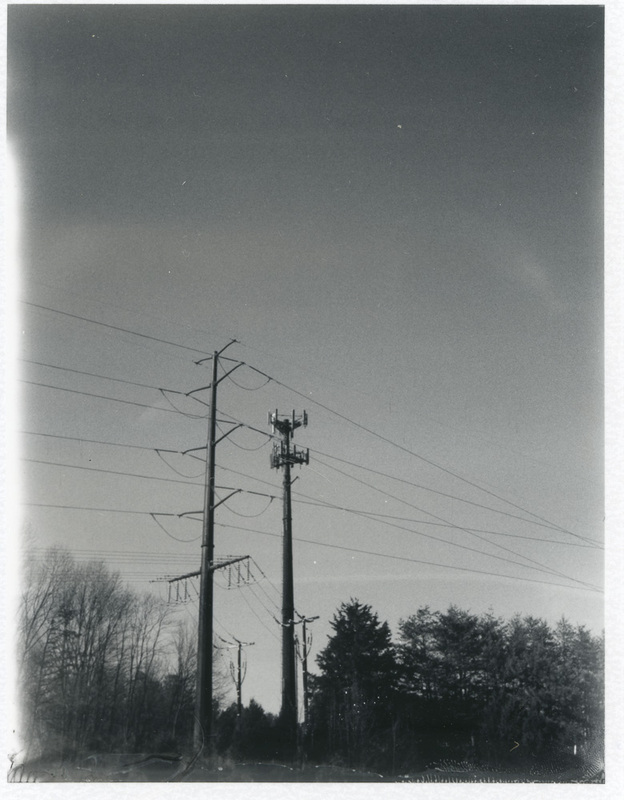 Adventures in chemistry….developing b/w and color negatives.. 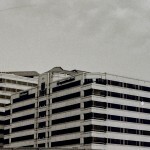 Recently I processed my first rolls of B/W and color film I shot on my Nikon FG. Of course this process required working with photographic chemistry, developer, fixer, etc. First some overall comparisons. The main difference is temperature. 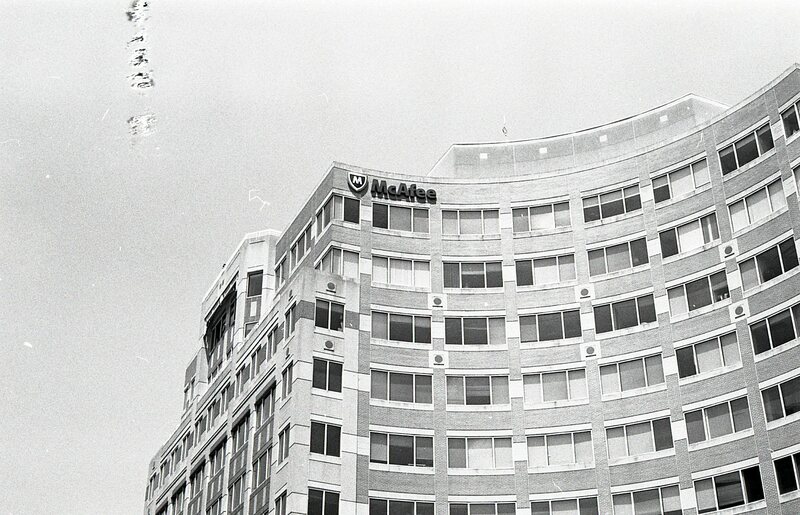 B/W film can essentially be developed at room temperature. You do need to be aware of the temperature of the developer as it determines the time required. Color development is very temperature sensitive. The analogy is between baking a cake verses baking bread. So basically, from my experience the idea that some photographers have that color film can’t be processed at home is a myth. While it is a little more challenging than B/W if you watch your temps it’s not that scary. The biggest issue I’ve had is with drying. 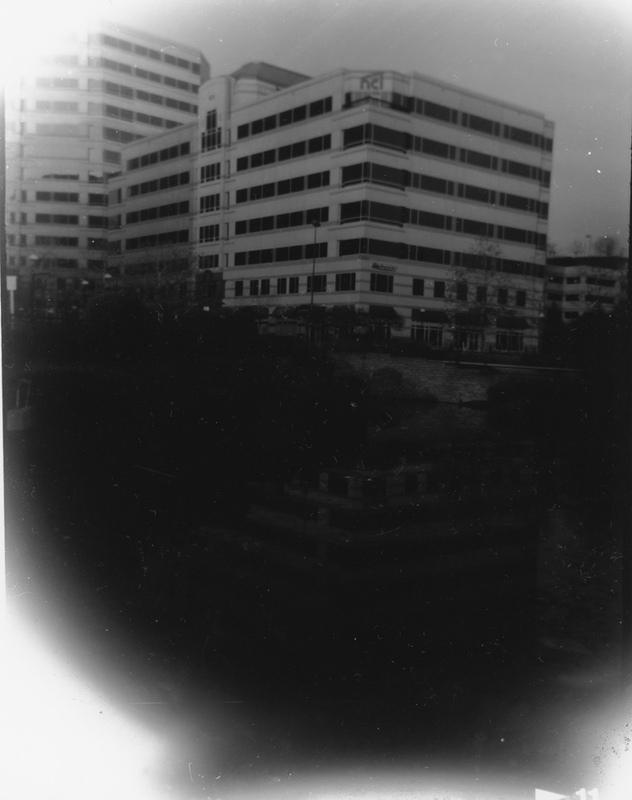 For the b/w negatives I am going to include photo-flo, which has anti-spotting properties in my next final rinse. The color kit I used has a stabilizer that includes a photo-flo equivalent for color. That will hopefully be helped by my other change in that I’m going to use filtered water rather than strait tap water for my final rinse and making up my next batch of stabilizer. Posted by wendy_author on July 3, 2012 in Photography.